Gaby Smyth studied at UCD, University of Limerick, the Leinster School of Music (LLSM), and is a Fellow of the Institute of Chartered Accountants. 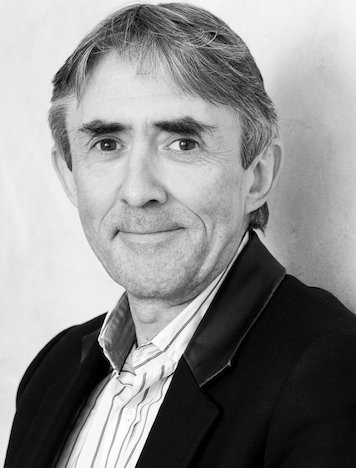 He has been in financial and taxation consultancy for over twenty five years, specialising in the literary, music, film and theatre arts – representing and advising many of the major Irish and international practitioners in these areas. Gaby has also been involved in the leadership and governance of many arts organisations in Ireland; he has been the chairman of the boards of Temple Bar Gallery & Studios, Corn Exchange Theatre Company, and TEAM Educational Theatre Company. He is chairman of the boards of the Audi Dublin International Film Festival and Opera Theatre Company, and will be inaugural chairman of the newly formed Irish National Opera. Additionally, he was non-executive chairman of Boulder Media Ltd., a major Irish animation company, and Screen Producers Ireland, the umbrella organisation for the film, animation and TV industry in the state. Gaby is currently chair of the companies that manage the estate of Barry Flanagan, and, most recently, has been appointed to advise the estate of Seamus Heaney.